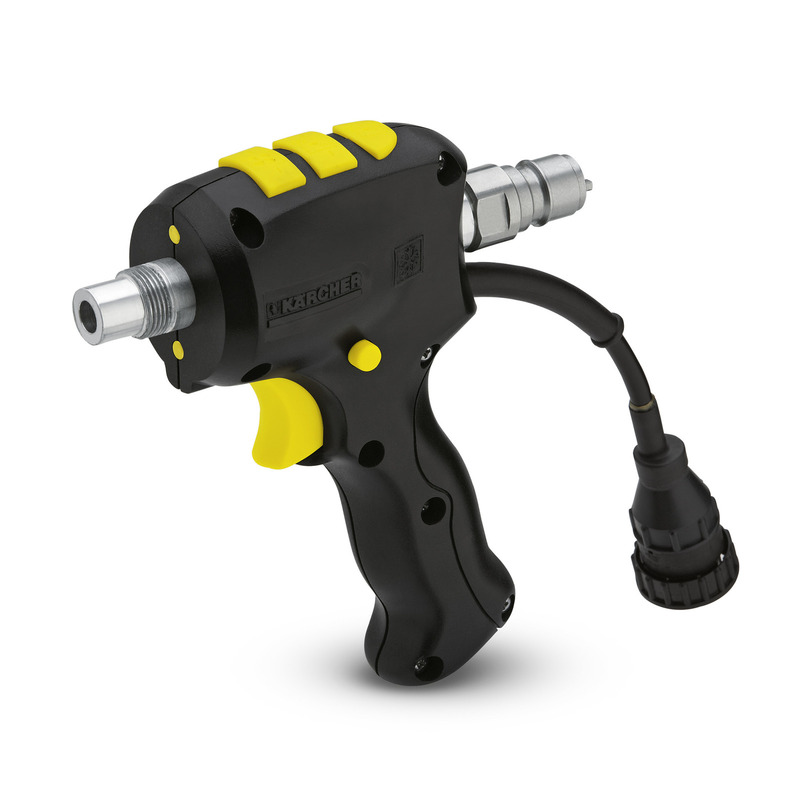 Advanced blasting gun 47757850 https://www.kaercher.com/ie/accessory/advanced-blasting-gun-47757850.html Ergonomic & lightweight blasting gun with safety device against accidental use. Because of its compact design the blasting gun is very lightweight and handy. The advanced blasting gun has an integrated remote control to adjust the blasting pressure and the dry ice output directly on the blasting gun. Furthermore there is a button to choose between "air & ice" or "only air".